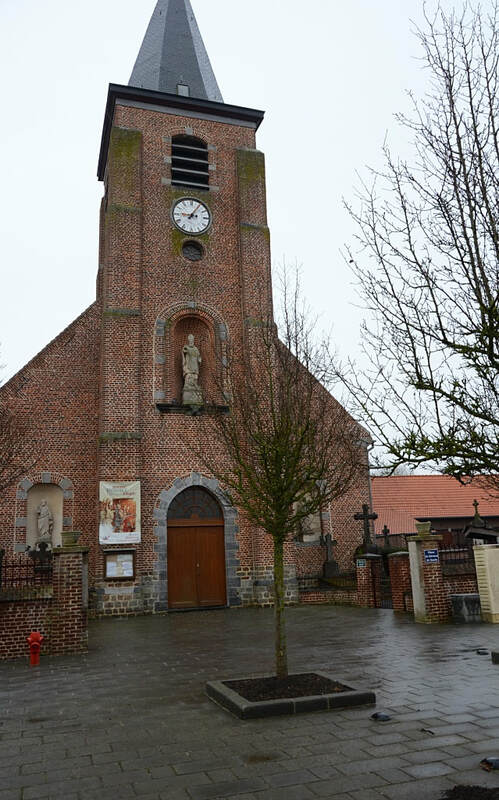 Saméon is a small village located to the north of Valenciennes. 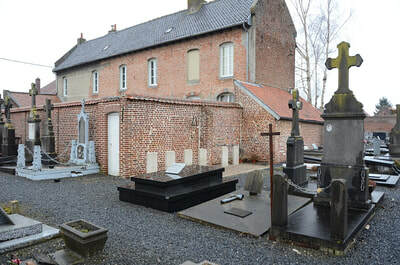 The Churchyard is located in the centre of the village. 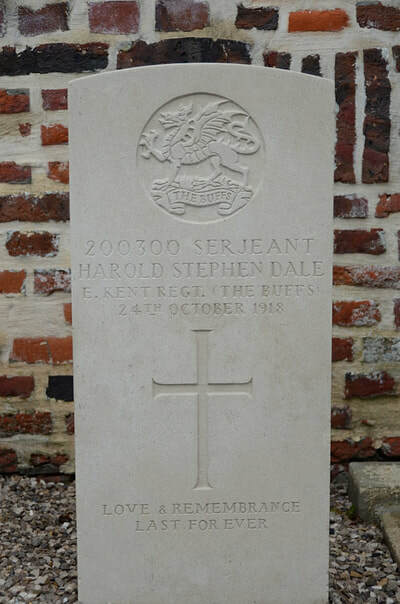 200300 Serjeant Harold Stephen Dale, 6th Bn. 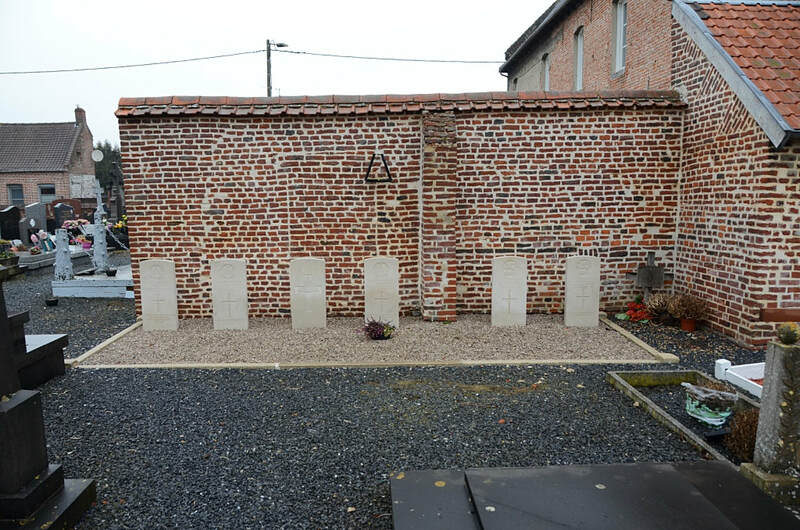 The Buffs (East Kent Regiment), died 24th October 1918, aged 20. Son of Frederick Stephen and Emily Dale, of 45, Church St., Milton Regis, Kent. Born at Elham, Kent. 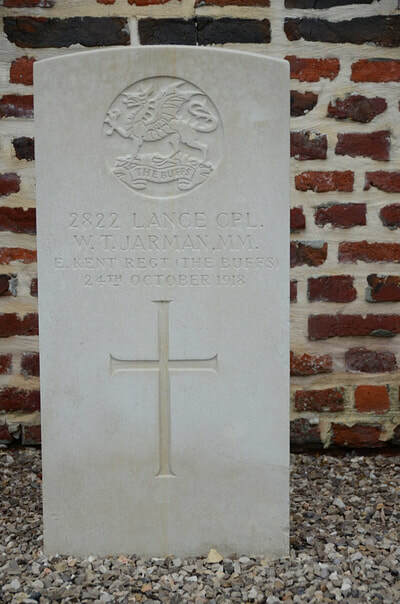 2822 Lance Corporal William Thomas Jarman, M. M. 6th Bn. 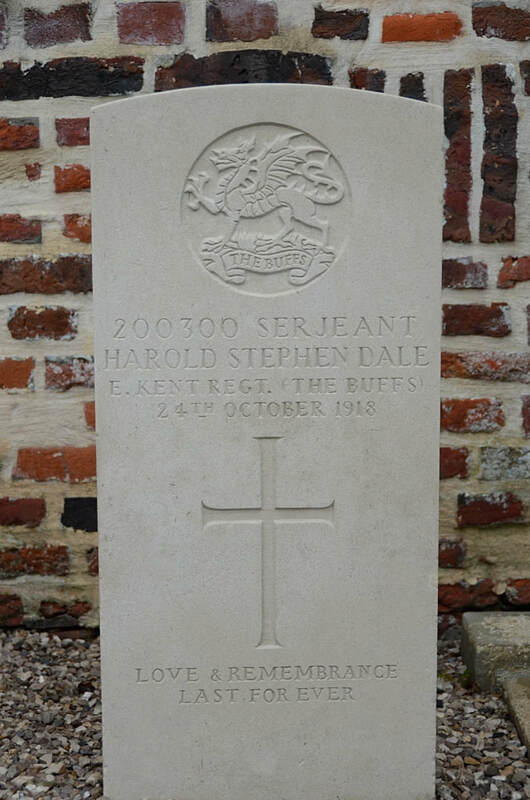 The Buffs (East Kent Regiment), died 24th October 1918, aged 26. Son of William Thomas Jarman of Lenham, Kent, and the late Eliza Jarman. 328177 Private Edwin Marriott, 1st/1st Bn. 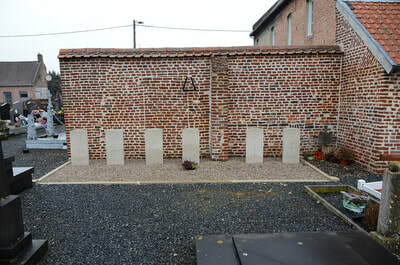 Cambridgeshire Regiment, died 25th October 1918, aged 21. 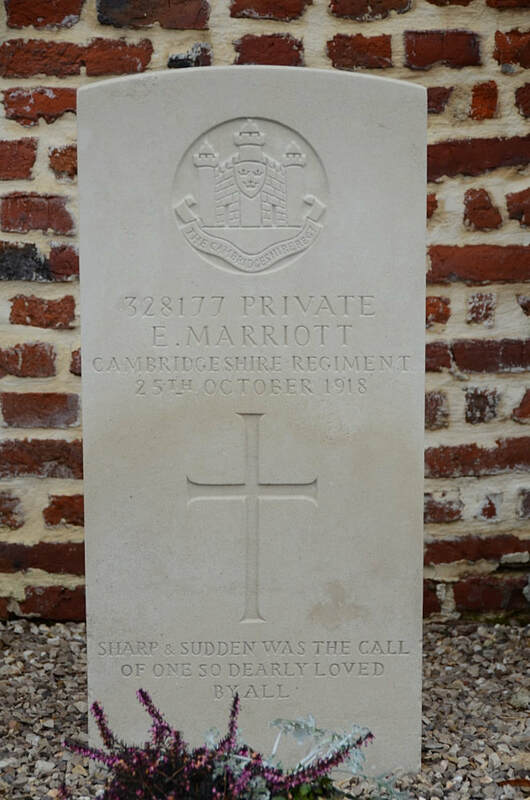 Son of Edwin and Mary Marriott, of 75, Tower St., New Fletton, Peterborough. Born at King's Lynn. 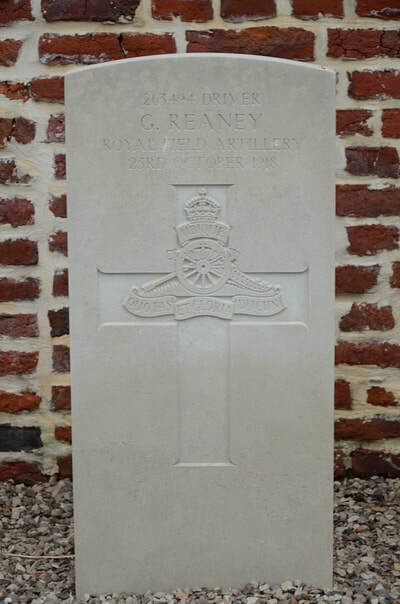 263494 Driver George Reaney, "D" Battery, 62nd Brigade, died 23rd October 1918. 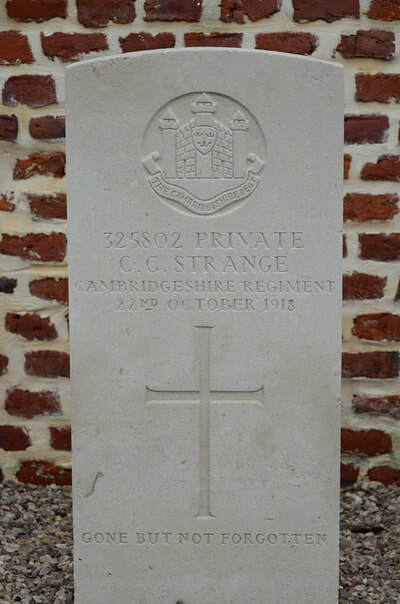 325802 Private C. C. Strange, 1st/1st Bn. Cambridgeshire Regiment, died 22nd October 1918, aged 24. Son of Mr. and Mrs. J. S. Strange, of 54, Victoria Rd., Cambridge. 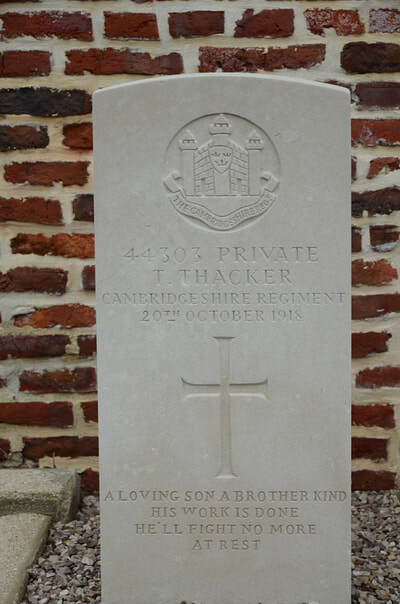 44303 Private Thomas Thacker, 1st/1st Bn. Cambridgeshire Regiment, died 20th October 1918, aged 21. 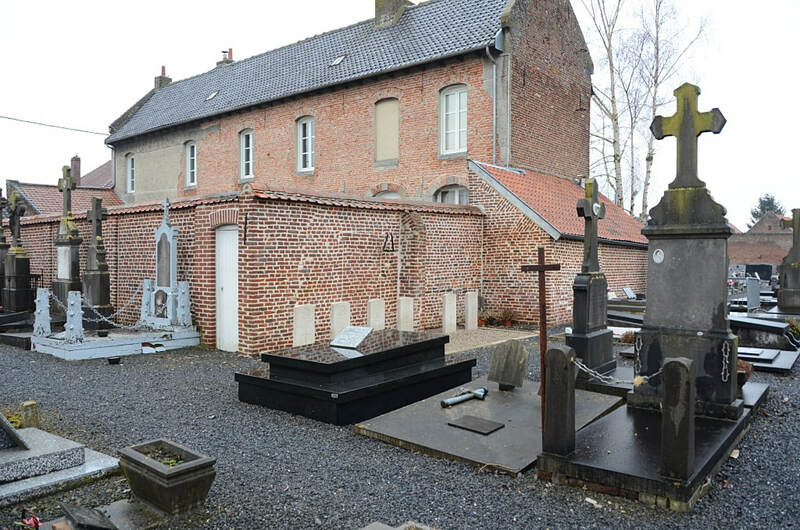 Son of George and Annie Thacker, of 115, Meadow Lane, Coalville, Leicestershire.